BoomTax is excited to announce the release of our Tax Year 2018 product. We’ve been hard at work to develop new features that will provide you with the same simplicity you love for even more tax forms. 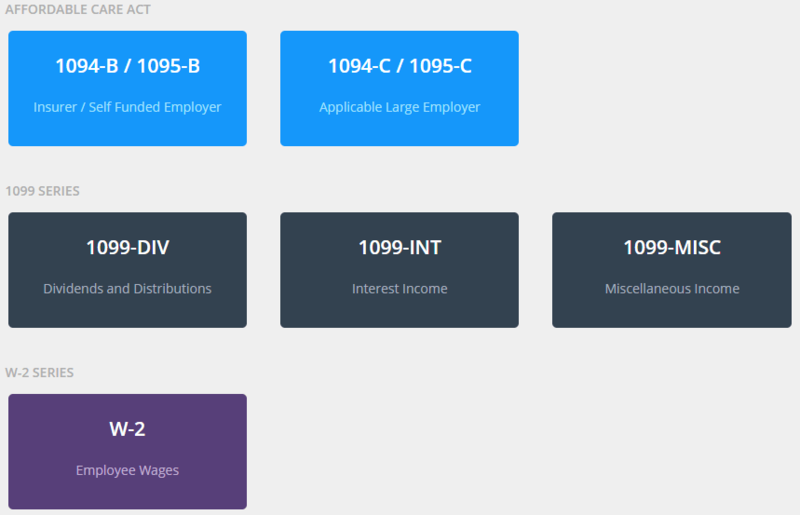 BoomTax now offers support for reporting Form W-2 information to the Social Security Administration using our same user-friendly interface that has made ACA and 1099 reporting so easy! We also support Form W-2c for submitting W-2 corrections. As always, BoomTax offers free and unlimited correction submissions. We’re always listening to feedback on how we can better support our customers, so this year we’re happy to launch B-series ACA reporting for insurers or self-insured employers. Using the same XML or Excel importing options of our C-series module, filing your data with the IRS is as simple as a few clicks. We’ve made it even easier to import your data if you use a QuickBooks Online account. We’ve made it even easier to provide our customers with guidance at every step of the filing process. Now when you log in to your BoomTax account, you’ll see exactly where you left off with your filings and what steps are needed to complete them. Even with so many new features, BoomTax is always committed to keeping our flat-rate, no-hidden-fees pricing. Contact a customer support representative today to determine the best solution for your business. Create your free account today to see how simple tax reporting can be! Already have a BoomTax Account? Log in now and check out the new features!